We all get into our routines. Walk the dog up and down the same streets, day in and day out. Bor-ing. But one of the great things about the Washington, D.C., area is the wide variety of neighborhoods and places you can go to walk your dog. 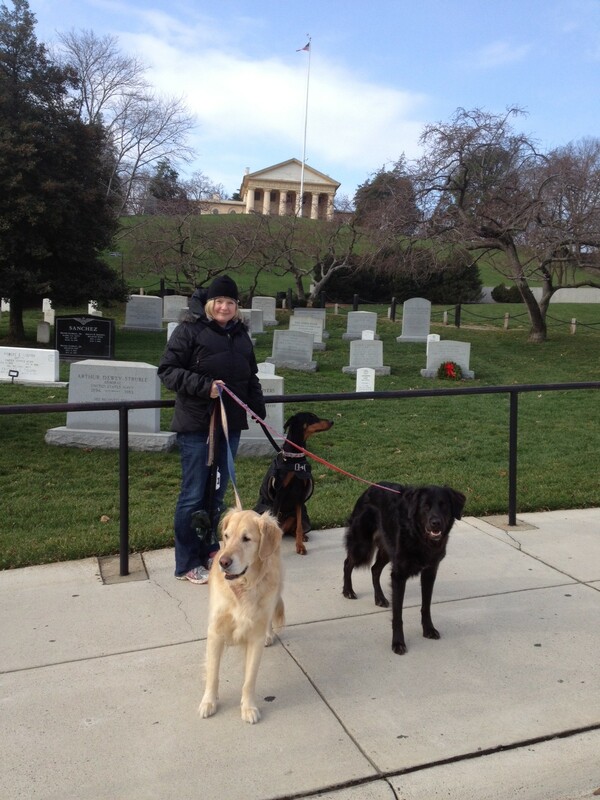 For example, did you know Arlington Cemetery is dog-friendly? The cemetery encompasses 624 acres, and there are more than 30 monuments and memorials you can visit during your stroll, including the President John F. Kennedy gravesite and the Eternal Flame. Dogs must be on a leash at all times, and make sure to bring plenty of bags to collect waste. You may have to carry it with you for a bit, but there are trash containers to be found within the cemetery grounds. Dogs can go anywhere on the grounds people are allowed, just make sure to keep them on the sidewalk in places where there are fences or chains to protect the grass, such as around the Edward or Robert Kennedy gravesites. 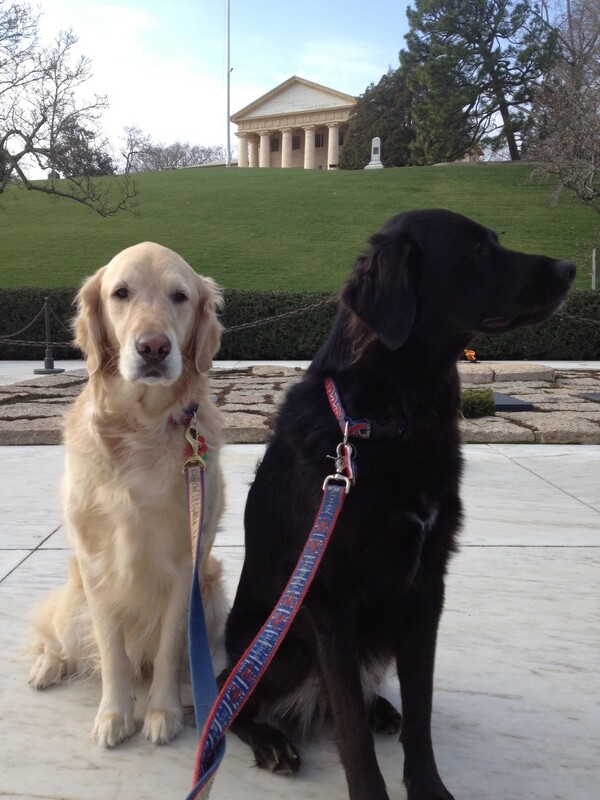 Dogs aren’t allowed in the visitors’ center, where the water fountains and restrooms are located, or other buildings. I recommend bringing a human companion for your walk, so one of you can wait outside with the dog while the other uses the facilities and/or fills a water bowl for the dog. 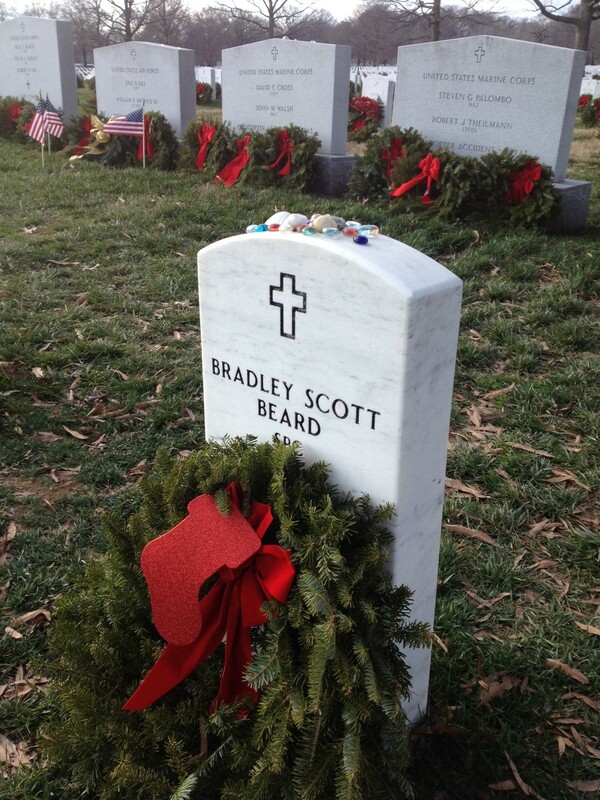 You definitely want to be sensitive to the other visitors, especially if you go near Section 60 in the southeast part of the cemetery, where the military personnel killed in the Iraq War and the War in Afghanistan are buried. There are often recently-bereaved families visiting graves here who may not appreciate being approached by a dog. Many graves also have mementos from visitors on them, including stuffed animals and colored glass pebbles that signify someone has visited the grave that you don’t want your dog to mistake for toys or treats. The cemetery opens at 8:00 a.m. year-round, and closes at 5:00 p.m. October-March and 7:00 p.m. April-September. Obviously, if you’ve got your dog and it’s not an official service dog, you can’t take Metro. But parking at the cemetery is plentiful and costs just $1.75 for the first three hours, which is well worth the cost to get a change of scenery from your usual walking route and–more importantly–the opportunity to pay respects to those who have so honorably served our country.